Second time is a charm? That’s what we’re hoping!! 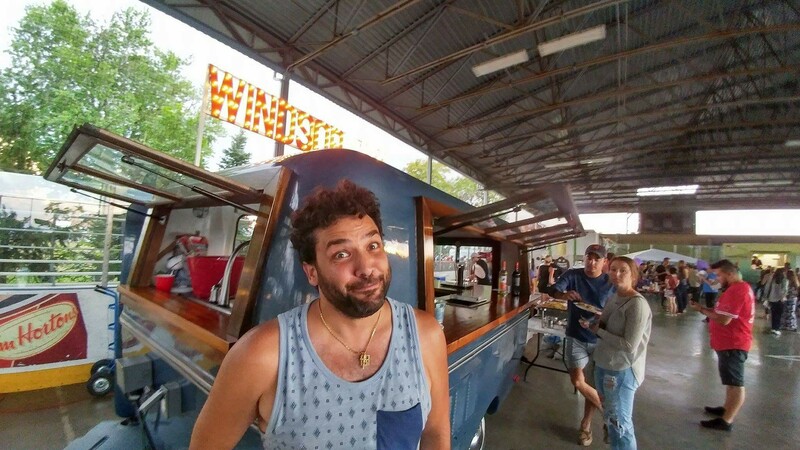 We are very excited to announce that for the second year in a row, Adriano Ciotoli of WindsorEats has been named a finalist for the Tourism Champion of the Year award by the Tourism Industry Association of Ontario (TIAO). These awards are a celebration of success and an opportunity to recognize those who have made significant contributions to Ontario’s tourism industry. Presented by the TIAO, this award is given to an individual who embodies the spirit of tourism in Ontario. The past year has been a busy one for Adriano, from the continuous promotion of our region as a culinary tourism destination to working to get the Hiram Walker & Sons Ltd. distillery open for public tours for the first time in 16 years. His hard work and dedication to tourism has had a great impact on our region. “To be named a finalist for the Tourism Champion award not just once, but in consecutive years is incredibly humbling”, says Adriano. WindsorEats has previously been named the Ontario Culinary Tourism Leadership award winner, the Culinary Tourism Experience Award winner for our Wine Trail Ride cycling tours and the Innovator of the Year by the Tourism Industry Association of Canada. So, if you see Adriano on the street give him a big high five!